Constitutions in authoritarian regimes are often denigrated as meaningless exercises in political theater. Yet the burgeoning literature on authoritarian regimes more broadly has produced a wealth of insights into particular institutions such as legislatures, courts and elections; into regime practices such as co-optation and repression; and into non-democratic sources of accountability. In this vein, this volume explores the form and function of constitutions in countries without the fully articulated institutions of limited government. The chapters utilize a wide range of methods and focus on a broad set of cases, representing many different types of authoritarian regimes. 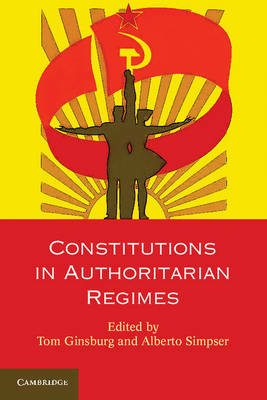 The book offers an exploration into the constitutions of authoritarian regimes, generating broader insights into the study of constitutions and their functions more generally.